The Australian government would spend around 3 billion Australian dollars to purchase seven large unmanned aircraft for the country's border protection, local media reported Saturday. The aircraft would be primarily used for military purposes such as spotting enemy ships and planes in a conflict, but they can also be used to detect asylum seekers since the drone can search an area of 40,000 square nautical miles in a single mission. 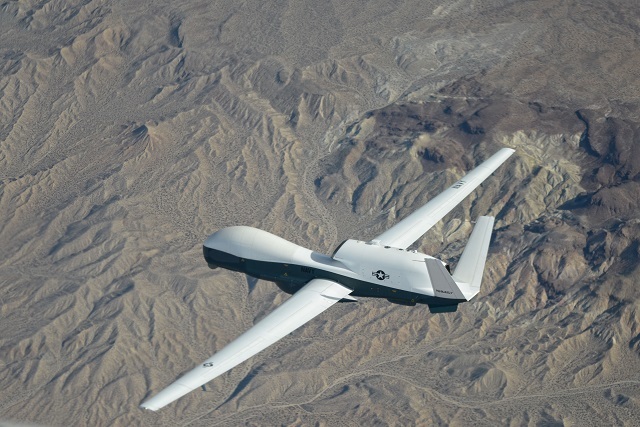 Defense Minister David Johnston would soon refer to the cabinet for its first pass approval of 3 billion dollars for the seven U.S. made MQ-4C Triton, a maritime version of the Global Hawk. Johnston also attacked the former Labor government for withdrawing from the unmanned aircraft program in 2009 after spent 100 million dollars in the development of American company Northrop Grumman's Global Hawk drone program. "I was extremely disappointed," said the minister, quoted by The Australian newspaper. According to the plan, the seven new drone would be deployed in a air force base close to the southern city of Adelaide and will replace the current aging fleet of P-3 Orion surveillance planes.